This web site is created by Lin Yuan Tea Factory, which is a well-know tea producer in Alishan tea area. It is different between us and common tea shop because that we have our own tea farm and factory . We do the total work from production,manufacturing, and sale. In order to reach international market, we build this web site at Dec 09 2004. Our goal is to popularize the tea of Taiwan, which is a very nice delicious drink. 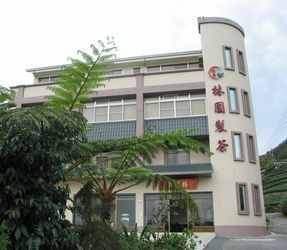 Lin Yuan Tea Factory is build in 1985. The founding father work hard to build the public praise of our tea. After twenty years, since the market of network becomes very popular, we start to open up this market. And we wish that everyone in everywhere could enjoy our tea and could get them commodiously. We have our own experience to manage tea farm where is in real Alishan Tea Area. We have our own technique to make up oolong tea of high quality. We are exquisite and we could find the tea which is adaptive to you. The honor and the faith of us outweigh these reasons. We believe that quality of our tea is the best advertisement of us. Keep on high quality and care our customers. Copyright © 2004-2019 Lin Yuan Co.